As the temperature rises all over the northern hemisphere, pet parents are looking for ways to keep their dogs and cats cool. Shaving your pet so they aren’t wearing a fur coat in the dog days of summer seems like a no-brainer, but is it the right choice for your pet? If your cat lives primarily indoors in the air conditioning, they will not need to be shaved to stay cool. If your cat is indoor-outdoor or if they do not primarily live in the air conditioning, watch for signs of overheating. 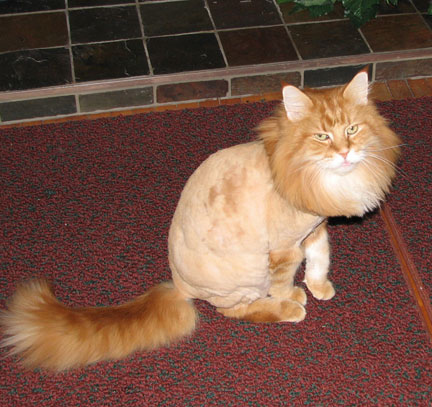 If your cat pants or seems distressed by the heat, a trim may be in order. Remember not to shave down to the skin or risk letting your kitty get sunburned. Does your dog have long fur (1” or longer)? Is their fur a single-layer coat? Does the dog live primarily outdoors? 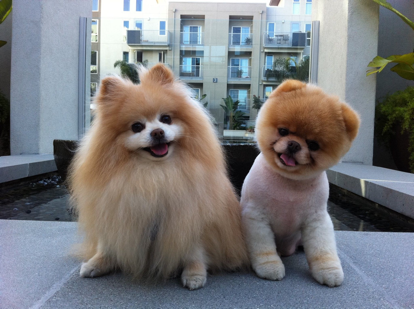 Is their fur matted or knotted? Does your dog often get wet (including swimming in the pool or lake)? Is your dog’s coat primarily a dark color? Does your dog suffer from hot spots? If you answered “yes” to any of these questions, you may want to consider giving your dog a summer trim. If your pup’s fur is already an inch long or less, shaving won’t cool them down any further – but it will increase the risk of sunburns and insect bites. Your dog’s fur should never be cut shorter than 1 inch, or risk being sunburned. Just like blonde humans, dogs with white and yellow coats are more likely to be sunburned than their dark-haired friends. If your pup has a light color coat, let them keep their hair. Many long-hair breeds of dog (most herding dogs and terriers, including Aussies, Collies, German Shepherds, Golden Retrievers, huskies, and Pomeranians) have a double layer coat – a soft undercoat and a rougher top coat. This double-layer coat provides insulation in both cold and hot conditions. Importantly for pet parents of these beautiful breeds, they should never be shaved and should only be trimmed under the advice of your veterinarian. The undercoat grows much faster on double-layer breeds, and many pet parents report that it takes months or years for the topcoat to return – if it ever does at all. If the topcoat does not return, your dog’s coat will not be shiny and may require frequent grooming to prevent matting and tangling. Finally, if allergies are your concern, consider that a double reason not to shave your double layer fur baby – the dander causing allergies reside in the undercoat of your dog, and are likely to increase your allergies if the top coat is removed. While most mats can be prevented with regular brushing, trimming or shaving can be beneficial to pets who have developed matted spots. Parasites like ticks and fleas can make their homes under matted fur, which are harder to detect and may cause your pet pain and itchiness. Go to the groomer. Your dog may get nervous about their haircut, and professional groomers are more equipped to deal with the skittish pet. Leave at least an inch of fur. Closer crops can lead to ingrown hairs, sunburns, and even skin cancer. 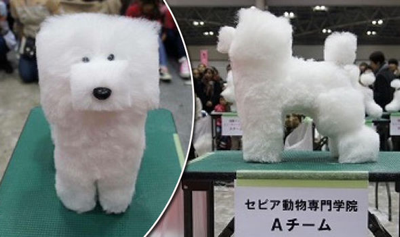 Brush your dog daily. This will help remove dead hair and keep your pet cooler. Use pet sunblock when you do take your pup outside.